We all know that the latest craze at the moment is cryptocurrencies, more specifically, Bitcoin. Everyone is hopping on the bandwagon, even the gambling industry. 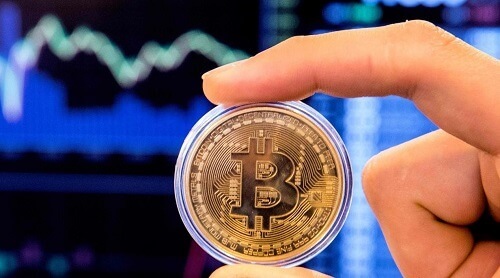 However, the premier online gambling licensing agency regulators for Australia quickly put a halt to its licensees accepting Bitcoin and other cryptocurrency bets. Last Friday saw the Northern Territory Racing Commission (NTRC) being issued with emails to alert them that they are not permitted to accept online sports bets in a currency that has not yet been agreed on. In this case, cryptocurrencies. According to the ‘Australian Financial Review’, each of the emails received, declare that the chairman for the NTRC needs to issue formal communications to all sports bookmakers and betting exchange operators that are licensed in the Northern Territory about transacting in cryptocurrencies. Further it goes on to say that should these bookmakers currently accepting cryptocurrency bets then they must immediately stop doing so. The letter from the NTRC appears to be in direct correlation with last weeks reports. The reports stated that Neds, an NTRC licensed bookmaker had just launched the first Bitcoin betting platform in Australia. More so, the site both accepts Bitcoin deposits and pays out in Bitcoin. However, it does not allow someone to convert their Bitcoin balance to another currency. Due to the recent letter received by regulators crypto.neds.com.au is now currently offline until they receive further instruction from NTRC. The NTRC have somewhat of an aggressive approach when it comes to the betting of cryptocurrencies which seems to deeply contradict the actions of many other major market gambling regulators. For instance, the UK Gambling Commission is encouraging the use of cryptocurrencies, provided that they carefully monitor anti money laundering and social responsibility obligations. Keep up to date with Pokies.com for any developments on the topic.